Janta Dal Secular's and Congress alliance CM pick HD Kumaraswamy, is going to become Karnataka's twenty-fifth Chief Minister and is all set to swear-in today by 4:30 pm. 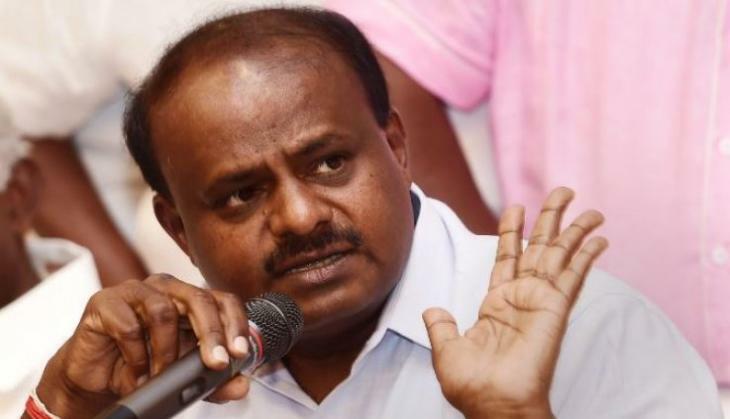 Kumaraswamy's designated oath ceremony will be attended by the galaxy of opposition leaders and Chief Ministers. From Arvind Kejriwal to Mamata Banerjee. 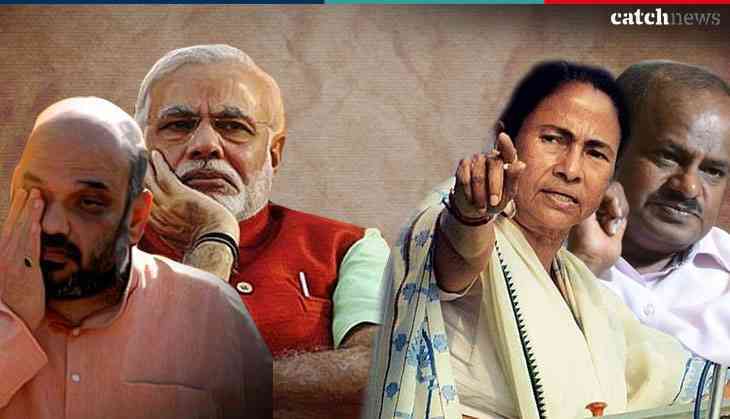 The Trinamool Congress chief and West Bengal Chief Minister, Ms Banerjee was in the contentious mood as she reached Bengaluru for the oath ceremony of Kumaraswamy as chief minister of Karnataka and warned others to not to dare to mess with them or will be decimated. “Jo has takrayega, chur chur ho jayega (Whoever dares to fight with us will be decimated),” she said. 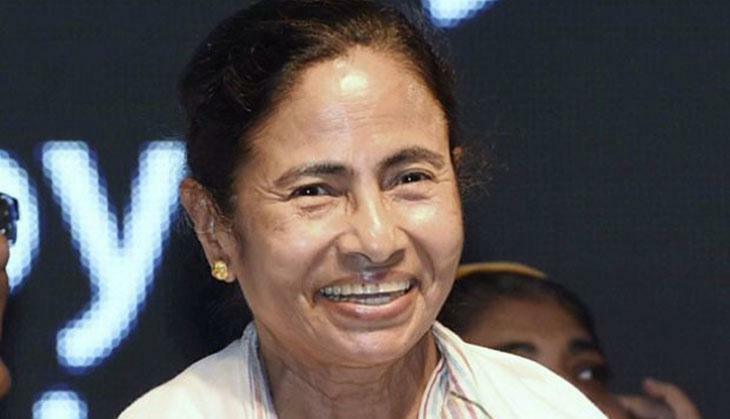 The West Bengal CM said a swearing-in is an important event for democracy and an opportunity to strengthen regional parties. Meanwhile, Chandrababu Naidu said, "We are here to express our solidarity as a regional party with HD Kumaraswamy. We want to promote regional parties." Well, Kumaraswamy will be the second CM to take oath in 2018 assembly within a week after Yeddyurappa stepped down without facing floor test in May 2019. HD Kumaraswamy will be swearing-in as a chief minister along with Congress's G Parameshwara as Deputy CM on Wednesday at 4:30 pm. Congress's KR Ramesh Kumar will be the Speaker of the state’s Vidhana Soudha. Kumaraswamy said he has invited Sonia Gandhi, Rahul Gandhi, Mayawati, Akhilesh Yadav, Arvind Kejriwal, Chandrababu Naidu, KCR, Mamata Banerjee, Farooq Abdullah, Sitaram Yechury, Pinarai Vijayan and Tejaswi Yadav for the oath-taking ceremony.